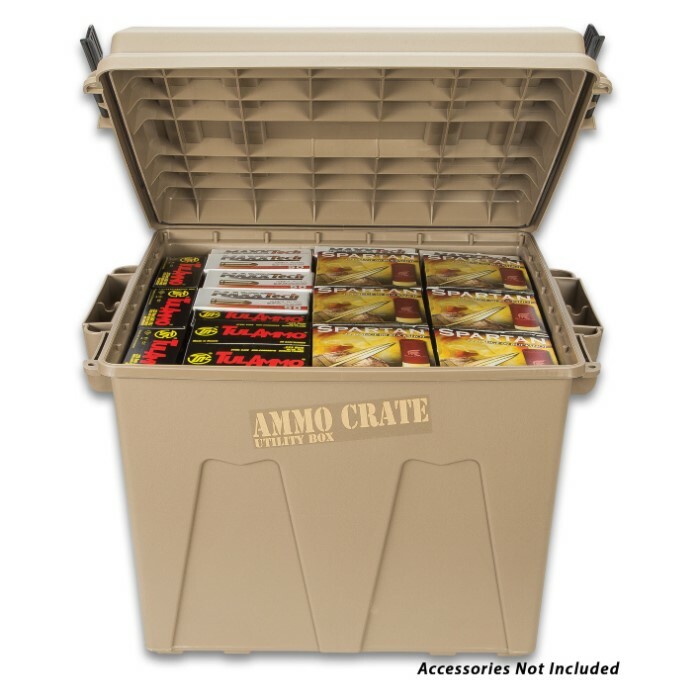 MTM Extra Tall Ammo Crate/Utility Box - Polypropylene Construction, Side Handles, Carries Up To 100 LBS, Water-Resistant O-Ring Seal | BUDK.com - Knives & Swords At The Lowest Prices! 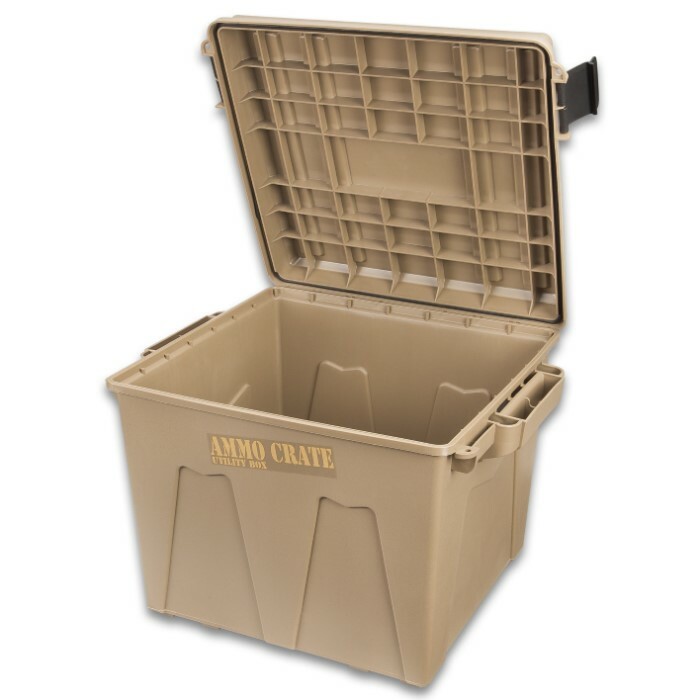 Designed to store ammo but perfect for all your shooting, hunting or survival gear, the MTM Extra Tall Ammo Crate/Utility Box features high-impact polypropylene construction with two extra strong handles for easy carrying. 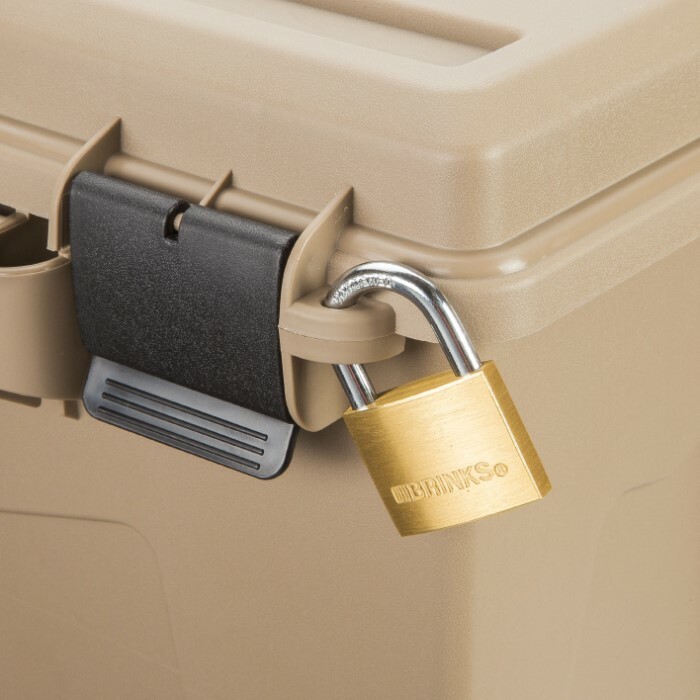 Two heavy-duty latches and two padlock tabs provide security, while the tongue and groove O-ring seal system provides superior water-resistant dry storage. 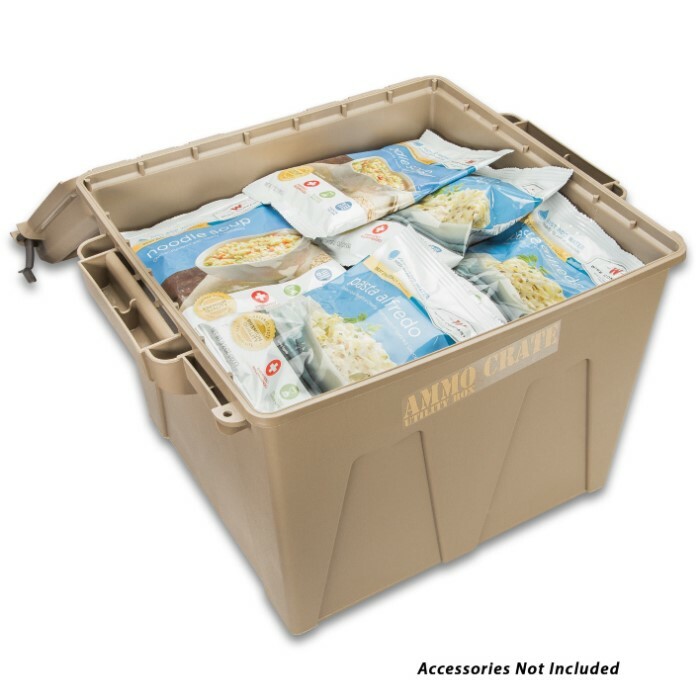 Stacking ridges enable you to stack them high without the risk of them toppling over and four hook points allow you to attach them rapidly to ATVs or boats. 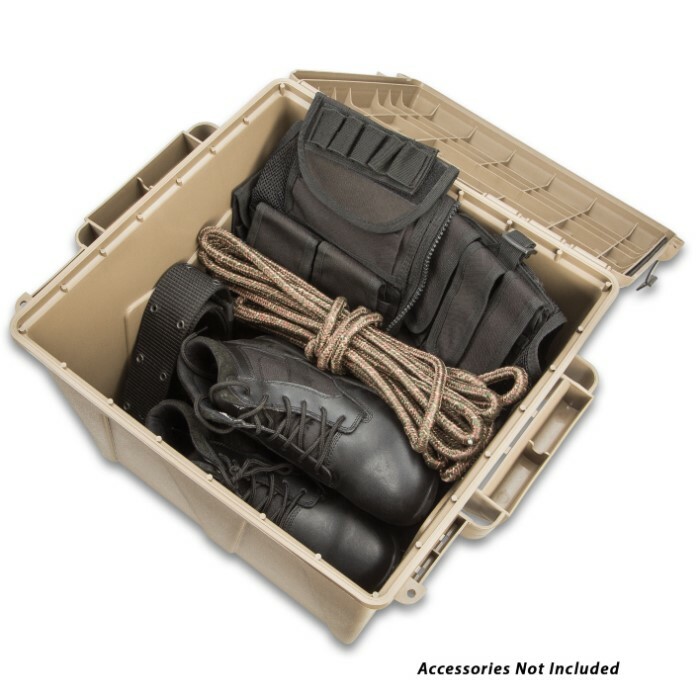 The extra tall crate will carry up to 100 lbs of gear and is made in the USA. 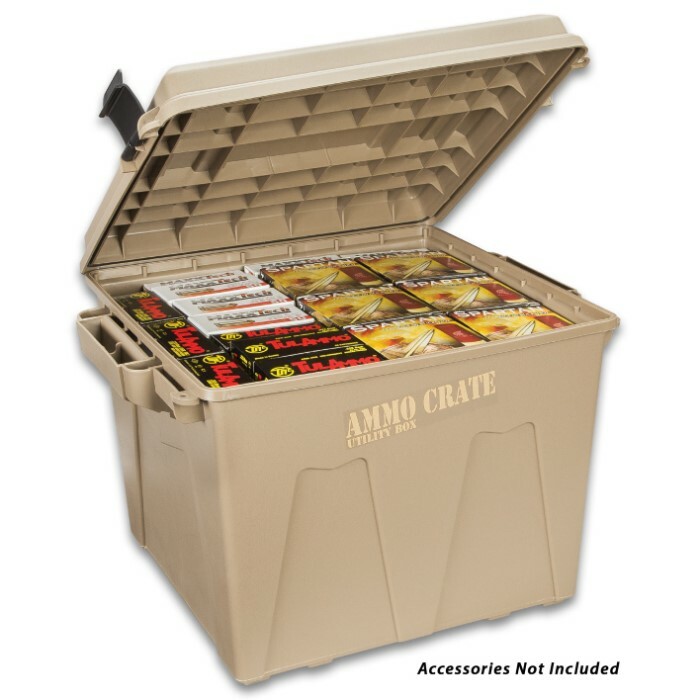 Innovative in their approach to the shooting sports, MTM puts out innovative quality products that last! 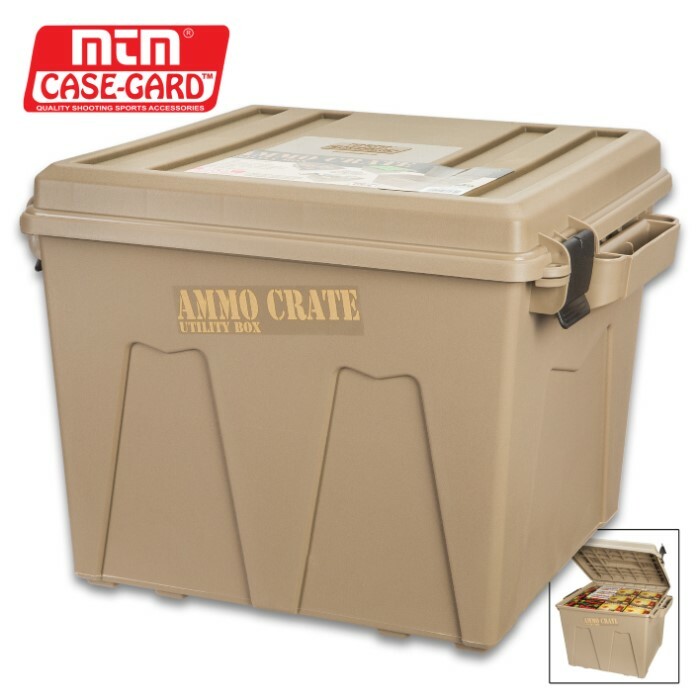 Ammo Crate 19" x 15 3/4" x 8"
The XL Tall ammo crate was just perfect for ALL my SHTF gear with more room to add more. I'm planning on getting more soon.